I spend a lot of time here at Magic Style Shop trying to help my fellow ladies look good, but the men deserve their time to shine when it comes to fashion too. 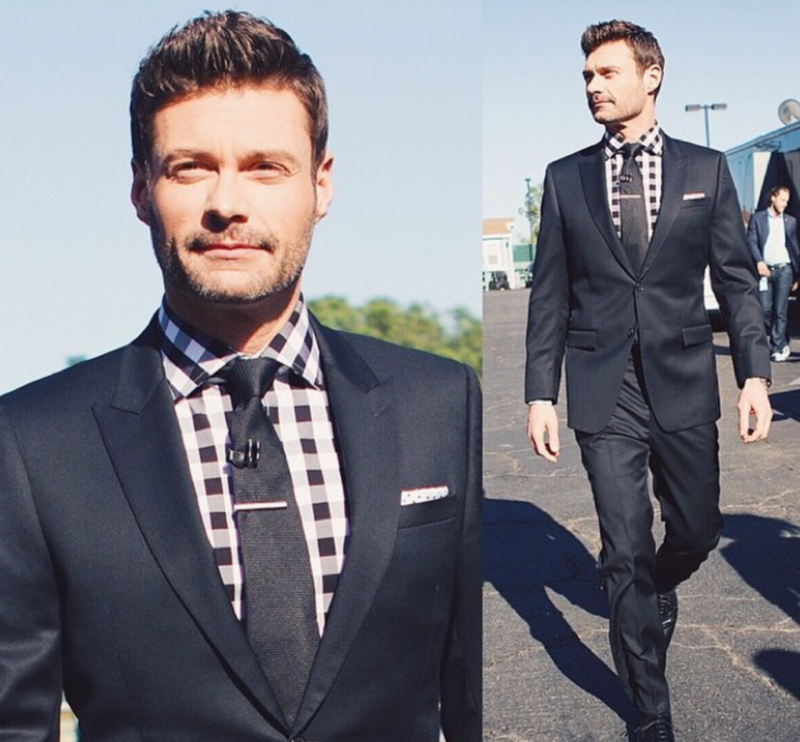 If there’s one man that seems to do it all – and always looks good while doing it – it’s Ryan Seacrest. Whether it’s late nights on American Idol (did you hear it’s coming back?!) or early mornings on Live with Kelly & Ryan, Ryan Seacrest is everywhere on the air-waves. And no, you don’t have to sneak into his dressing room to steal his suits; instead, you can simply shop his line at Macy’s. 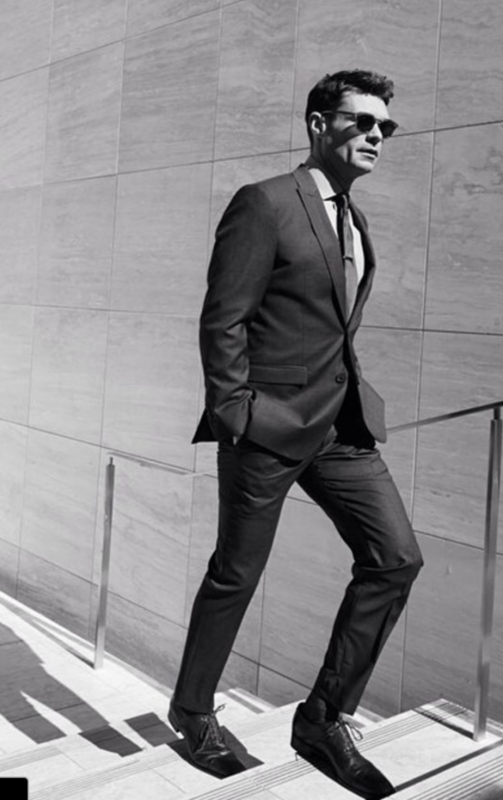 While this modern media mogul didn’t design his exclusive-to-Macy’s assortment of men’s tailored clothing, it is inspired by his on-screen wardrobe of sharply tailored three-piece suits, spread-collar dress shirts and crisply folded pocket squares. And right now, you can get the Ryan Seacrest Distinction line on limited time special. For instance, the Ryan Seacrest Distinction Men’s Slim-Fit Non-Iron Indigo Dot Dress Shirt that typically costs $69.99 is only $29.99. If you’re looking for the complete look like the one above, you’ll LOVE this deal: Get the Ryan Seacrest Distinction Men’s Slim-Fit Blue Herringbone Plaid Suit Jacket, normally $425, for just $119.99 now! 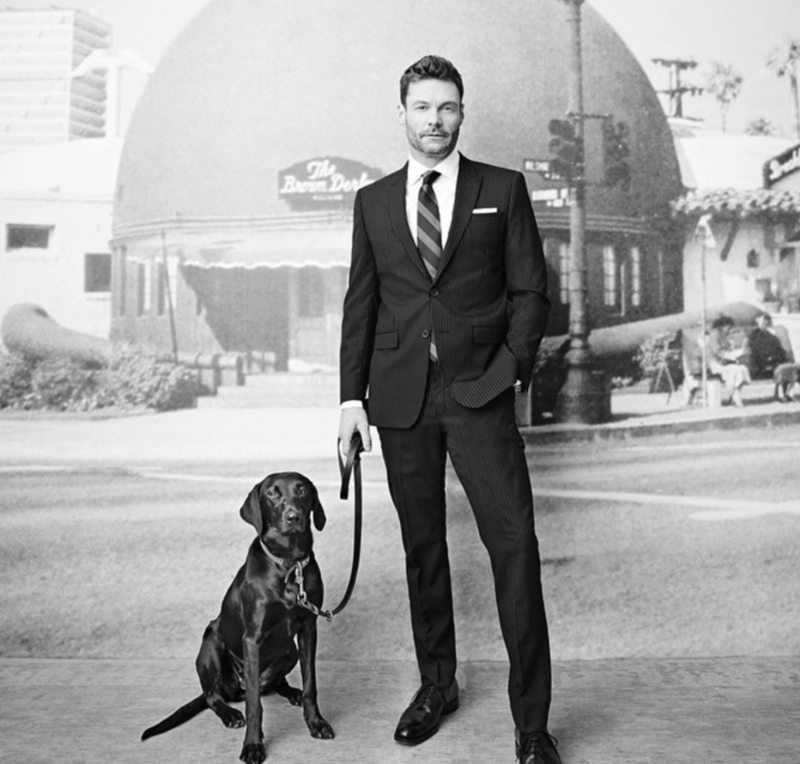 Shop the entire Ryan Seacrest Distinction Collection – available only at Macy’s – and get an additional discount when you use code SAVEBIG during the Daylight Savings Event.